Do you always know what bank fees and charges you are going to pay when you open an account? Many banks charge fees for behaviors many customers did not even realize they were being charged for. These fees could be PNC overdraft fees, checks cost, safe deposit box cost, or something as hidden as paper statements. Banking like it should be. Signing up is free and takes less than 2 minutes. PNC can have some of the steeper fees and charges that banks may charge. 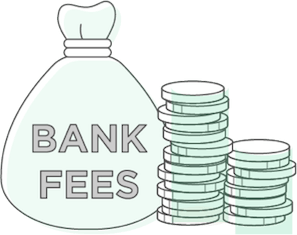 They are more transparent on their website about the charges, though, and it is much easier to identify the fees than with most other banking institutions. 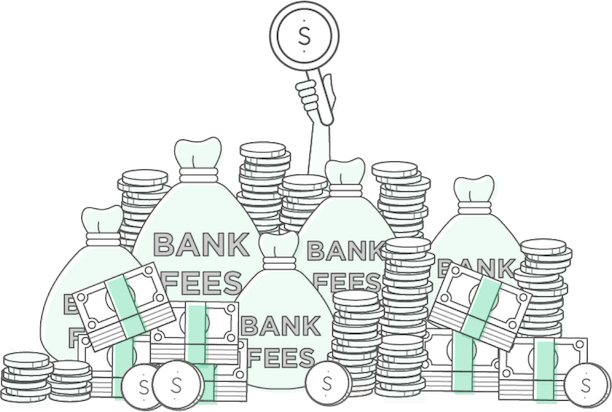 Overdraft fees are charged per item that overdrafts the limit. Beware of a multitude of overdraft fees that can result in a quick $100+ in fees, however unlike most banks, PNC has an overdraft limit of 4 times a day, so the highest you can be charged in overdraft fees in one day is $144. PNC also has a $7 fee for each day your account is still overdrawn. Anytime your account balance drops below zero, this fee is charged per transaction. This fee is charged for the convenience of PNC Bank transferring money from your savings into your checking account. This fee is also paid on a per-item basis, so it can add up just as quickly as the overdraft fees. Wire transfers occur when money is electronically transferred from one bank account and deposited into another. Wire transfer charges vary depending on domestic or international services. Domestic wire transfer fees for the performance checking account are waived altogether. These fees can also occur when money from your PNC checking account transfers to another bank, even if both are in your name. For some of the checking accounts PNC bank charges for paper statements. This extra $2 a month can add up over time, especially if you are a long-term customer. Adding images of checks on the paper statements will add another $1 per month. Safe deposit boxes are a service that PNC Bank’s offer to keep your valuables protected by multiple levels of security. The bank keeps a key, and you receive a key. The PNC safe deposit box cost can vary depending on the bank and the size, but they range from $42 for a 3×5 box to $75 for a 10×10 box. PNC Bank charges a $25 fee to close an account that has been open for less than 180 days. It is important to keep this in mind when opening a PNC account, or the monthly service fees can add up or paying to close your account can be costly. PNC Bank offers traditional checking accounts such as the standard, performance, and performance select accounts. They each have their own service fees and changes, but they do all have a minimum opening amount of $25. 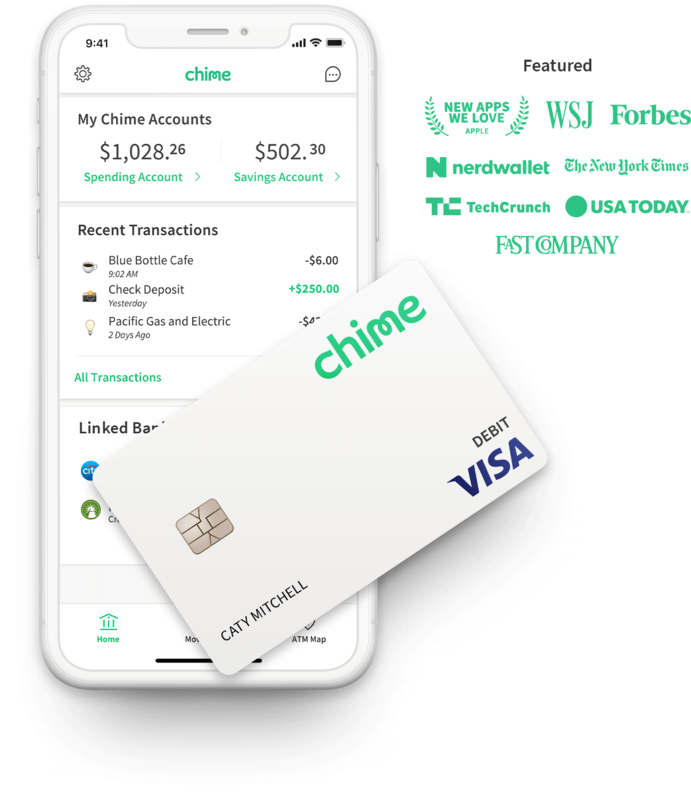 This is the lowest tier of checking accounts with a service charge of $7. This monthly service fee can be waived by completing any of the following: $500 average monthly balance in this account, $500 in qualifying monthly direct deposits to this account during the statement period, or if the account holder is age 62 or over. This checking account is PNC Bank’s middle tier checking account with a service charge of $15. The monthly obligation can be waived by completing any of the following: $2,000 average monthly balance, $15,000 combined average monthly balance across linked PNC Bank consumer deposit, loan and/or PNCI investment accounts, or $2,000 in qualifying monthly direct deposits to this account during the statement period ($1,000 for WorkPlace or Military Banking customers). The benefit to this account compared to the standard checking is that interest is earned on the balance. The highest tier checking account that PNC bank offers is the performance select It charges a $25 monthly fee. This monthly obligation can be waived by meeting one of the following requirements: $5,000 combined average monthly balance in this and up to 8 linked PNC Bank consumer checking accounts, $25,000 combined average monthly balance across linked PNC Bank consumer deposit and/or PNCI investment accounts, $5,000 in qualifying monthly direct deposits to this account during the statement period. TTe monthly direct deposit necessary is $5,000. Monthly service fees are also waived on up to 8 additional consumer checking, saving, or money markets accounts that are linked to your performance checking. In addition to putting your money into a checking account, you can also invest your money in a PNC savings account, PNC Premiere Money Market account, or a Certificate of Deposit (CD). These accounts will accumulate more interest than the checking accounts that are offered, but the money is less liquid. Therefore, there are higher fees or limits to removing your money. Certificates of Deposit are savings accounts that pay a fixed interest rate for a set period of time, beginning at 7 days up to multiple years, to ensure that the money deposited will stay in the account. By depositing your money into a CD for a set term, you lock in your initial deposit principal and interest rate until your money matures. Your interest compounds daily and is generally paid monthly, although interest payments made quarterly, semi-annually, annually, or at maturity are also available. The interest rates on these accounts are much higher than an interest rate on a general savings account. There are very hefty fees for withdrawing the money early; however, PNC bank does not disclose what these fees are. Premiere Money Market accounts have a $100 minimum deposit to open the account and have a $12 monthly service fee. The fee for premiere money market accounts can be waived if the account holds an average monthly balance of at least $5,000. The other savings account offered by PNC Bank has a $25 minimum deposit to open and a $5 service charge that can be waived by meeting any of the following requirements: $300 average monthly balance in this account, at least one Auto Savings transfer of $25.00 or more each month from your PNC checking, account holder is under age 18, or first year for Foundation Checking customers. PNC Virtual Wallet helps you manage all of your money in one place. You can pay bills, track spending by category, set savings goals, and more. The Virtual Wallet is made up of, what they call, Spend, Reserve, and Growth. Spend represents a primary checking account, Reserve represents a short-term savings account, and Growth represents a long-term savings account. There are three different levels of virtual wallet: the regular virtual wallet, performance spend virtual wallet, and performance select virtual wallet. The fees between the accounts are the same as the normal checking accounts, but the monthly fees can be waived easier because the funds in the accounts can be combined to meet the minimum. For instance, the $7 for the monthly service fee for Virtual Wallet service charge can be waived with $500 combined average balance in Spend and/or Reserve accounts. The standard PNC Virtual Wallet fees are the same fees for the Standard checking account. The Performance Spend virtual wallet has the same fees and charges as the PNC Performance checking account. The Virtual Wallet service charge can be waived with $2000 combined average balance in Spend and/or Reserve accounts. The Performance Select account has the same fees and charges as the PNC Performance Select checking account. The monthly service fees of $25 can be waived with $5000 combined average balance in Spend and/or Reserve accounts, or 6 PNC Bank consumer checking accounts that have been linked. When opening a PNC Bank’s account, whether it be checking, savings, virtual wallet or a CD, it is important to know and understand penalties and withdrawal limits for each. 2 minutes with no impact to your credit score.